Most of us shoot videos on our phones, but most of us don’t then edit those videos on our phones. Because it’s too difficult, takes too long, and requires skills that we just don’t have. But here’s the thing: video editing on your phone is a lot easier than you might think. 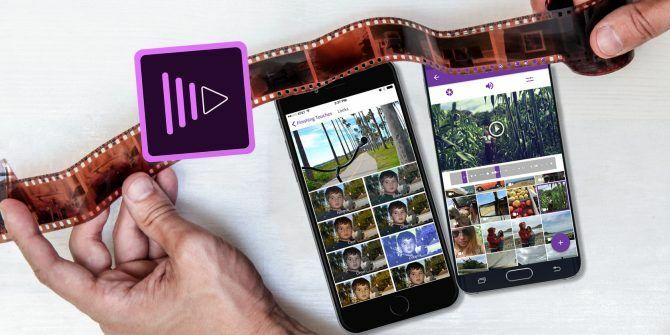 The best video editing app for iPhone and Android right now is Adobe Premiere Clip. The mobile version of the professional editing package is free, fast, and works on most devices. Best of all, it really simplifies the editing process. In this article we’ll show you how to edit videos on your phone using Adobe Premiere Clip. First, create a new project by tapping on the + button found in the bottom-right on Android and the top-right on iOS. The app has a slightly different layout depending on which device you’re using, but the features are all the same. Now choose where your content is stored. 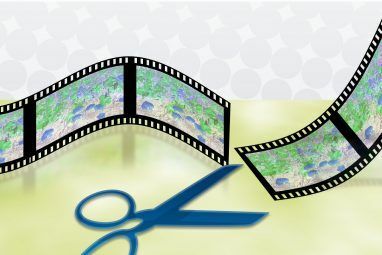 You can use any videos or photos on your device, as well as the main cloud services 6 Reasons to Avoid Cloud Services and Keep Your Feet on the Ground 6 Reasons to Avoid Cloud Services and Keep Your Feet on the Ground Thanks to services like Dropbox and Google Drive, we're giving up a lot more than we're getting when we use cloud storage. Here's a look at why you should be worried. Read More including Dropbox, Google Photos, and Apple Photos. Alternatively, select the Camera option and shoot something new. Tap to add all the clips you want to use and then tap Done. Next, you’ll see the Choose Project Type screen. One of the best things about Adobe Premiere Clip is that it can automatically generate movies for you. It edits your clips together in sync with a soundtrack that it also adds. To do this, choose Automatic. For more control over your project, select Freeform. Automatic videos only take a few seconds to create. You can tweak them a little by adding a different soundtrack and changing the order in which the clips are used. You can also convert an Automatic video into a Freeform video at any time. Hit the More Customization button at the top of the screen to do that. After you choose Freeform you’ll see the main editing screen. This has a preview window at the top, a trim bar in the center, and your clips displayed in sequence at the bottom. All the clips you choose are added to your video in the order you selected them. The first thing you need to do is rearrange any that are out of sequence. To do this, hold your finger on one of the thumbnails and drag it into the preferred position. Next, you need to trim your clips. This enables you to reduce a longer video down to just the few seconds you actually want to use. Tap the clip to select it. In the trim bar in the center you’ll see purple handles at each end. The left handle marks the “In” point, where the video will start. The right handle marks the “Out” point, where the video will end. There’s also a white vertical bar that lets you “scrub” through the clip to preview its content rapidly. Drag the white bar until you reach the point where you want the video clip to start. Now drag the left-most handle to that same point. Next, drag the white bar to the point where you want the video to end, then move the right handle to align with it. You’ve now set new “In” and “Out” points. Sometimes you might want to use the whole clip, but not all at the same time. You might want to add a cutaway to another shot, for example. Or maybe you need to use parts from the start and end of a clip, but not from the middle. You can do this by splitting the clip. Tap the clip to select it, then tap the settings sliders icon just above the preview window. This opens a clip editing screen. Drag the scrubber bar (the white vertical bar) to the point where you want to make your cut, then tap Split at Playhead. You’ll return to the main editing screen, where the clip is now split into two parts. Hold and drag them into place. You can split a clip as many times as you want. The clip isn’t physically split in two, it’s duplicated. In the first clip a new “Out” point is set where you positioned the playhead, and in the second clip a new “In” point is set at the same place. This makes the edit non-destructive. You can undo it at any time just by changing the “In” and “Out” points once more. 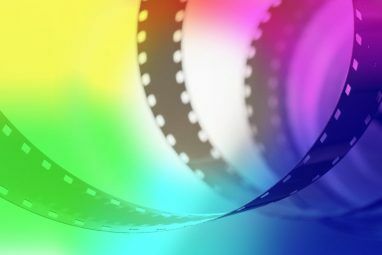 The editing options also include a control for setting the speed of playback, so you can add a slow-motion effect Working With Slow-Motion Video: Tips For The Editing Time Lord Working With Slow-Motion Video: Tips For The Editing Time Lord So you've shot some video at a high frame rate... what exactly should you do with it now? Read More , and an option for duplicating the clip. Once you’ve edited your clips together you’re ready to add some music. Tap the Soundtrack button at the top of the screen to get started. Adobe Premiere Clip comes with a selection of free tunes to use, or you can add some Creative Commons music Need A Soundtrack? Download Free Creative Commons Music [Sound Sunday] Need A Soundtrack? Download Free Creative Commons Music [Sound Sunday] Music is free to download and comes with a Creative Commons license that allows you to share the material, if you give attribution, use it non-commercially, and don't distribute derivatives. Read More from your device. Pick a tune and tap Add. You can only use one track per movie, and it’s always synced to the start of the video. There’s no way to change this. It is possible to make the music start at a later point in the song. Drag the waveform until you reach your chosen point, and hit the Play button for a preview. Of the other options here, Auto Mix will lower the music volume when there’s native sound from the video clip. This should be on by default. Sync to Music snaps cuts to the beat of your chosen soundtrack when you trim a clip. This is worth experimenting with. Sometimes it works well; sometimes less so. Finally, set the volume level for your soundtrack, and whether you want it to fade in at the start and out at the end. By this stage your movie should be looking good. There are a few extra tools that can add some more polish to your work. Select a clip and tap the aperture icon. Here, you’ll find sliders to adjust Exposure (overall brightness), Highlights (the brightest parts of the video), and Shadows (the darkest parts). You must set these manually for each clip; you cannot do it globally. Tap the speaker icon to access the volume settings for the clip. The Smart Volume helps to correct for big contrasts in the volume levels. You can also adjust the overall volume, or turn the audio off entirely by deactivating the Play Audio option. Again, you have to set the audio settings for each clip separately. From the main editing screen tap the Looks icon at the top. Looks are a series of filters you can apply to your video to change the color, contrast, and overall tone. There’s 30 to choose from, some less subtle than others. Just tap on the thumbnails to see the effect in action. You can change them again later. Like Instagram filters, the Looks can be overdone. But they are a quick way to give all your clips a uniform color and style, something you don’t get to control otherwise. Finally, add a title. Tap the + icon on the main editing screen and select Text Title. Type your text into the box, then set a color for both the text and the background. Return to the main screen and drag the title card to the right position if you need to. Set “In” and “Out” points for the title to adjust how long it will stay on screen. You can add as many title cards as you need. You can place them in between clips to function as chapter headers, or at the end. Tap the full screen icon in the top-right to get a proper preview of your final video. If you want to change something you can just go back and do it. Every single edit you’ve made can be tweaked or undone. Once you’re happy, it’s time to save and share your work. Adobe Premiere Clip saves your projects automatically as you work, so there’s no need to save them as you go. But you do need to export the final product for sharing or viewing in other apps. Save to Gallery: This exports and saves a local copy of your video to your device. You can watch it in other apps. Save to Creative Cloud: Uploads your video to your Adobe Creative Cloud space. Publish & Share: This publishes your completed movie on the Community Videos page within Premiere Clip. You can choose whether to make it public or private. Send to Premiere Pro CC: This allows you to open your video project in Premiere Pro on your desktop for more in-depth editing. You need to be logged in to the same Adobe account in both locations. Share on YouTube: Creates your video and uploads it to your YouTube account. Share on Twitter: Creates your video and posts it on your Twitter account. In all cases you need to choose an output resolution for your video, and to enter the details for any accounts you’re using. Regardless of how you package and share your finished video, the project will remain in the Adobe Premiere Clip app where you can re-edit it in future. Adobe Premiere Clip may not have the power of its (expensive) desktop counterpart, but it offers all the basics that you need to edit videos on your smartphone or tablet. It’s ideal for projects of all sizes, from trimming clips to share on social media, to something a lot more ambitious. 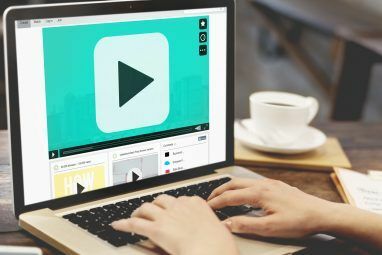 The next step is to learn a few awesome video editing techniques How to Edit Videos Like a Pro: 8 Tips You Need to Master How to Edit Videos Like a Pro: 8 Tips You Need to Master If you're just getting into the editing game, you may be confused as to what to do with the many millions of clips you have... well, we're here to help. Read More to give a true professional sheen to your smartphone-made movies! Explore more about: Adobe Premiere Pro, Video, Video Editing, Video Editor. This sounds awesome and very functional. I really want to have title pages on my home videos because that’s the only way to control the thumbnails on google photos which makes it better to scroll through my videos there. Is there a way to put a screenshot/photo as a background for the title page? It guess I’ll install this app and give it a try. I’ll test it against VideoLeap to see which is more intuitive. The app is rated 2.8 stars in the App Store and 180 ratings. people who understand editing are using better products on IOS, that get better reviews. what makes this the best, in your oppinion? Adobe has some good tools for mobile but when there are full video editing suites such as Video Leap, and others why is a minimalist editing tool being dubbed “the best”?